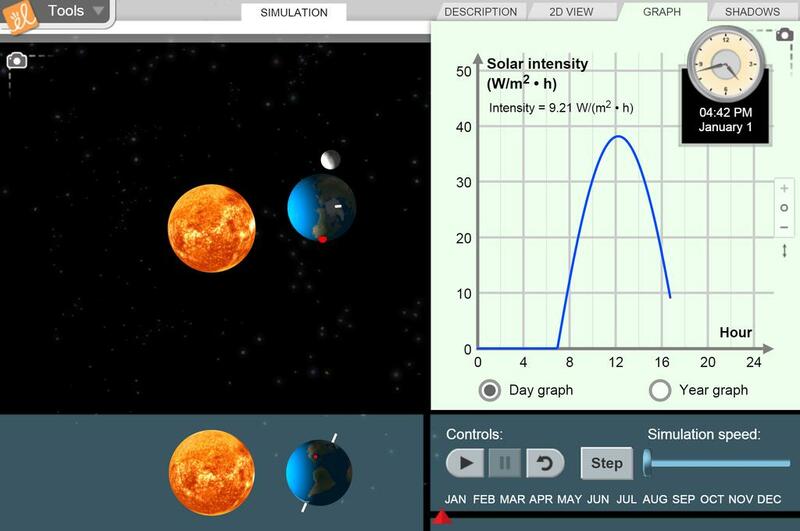 Use a three dimensional view of the Earth, Moon and Sun to explore seasonal changes at a variety of locations. Strengthen your knowledge of global climate patterns by comparing solar energy input at the Poles to the Equator. Manipulate Earth's axis to increase or diminish seasonal changes.